Welcome you to submit your paper now. 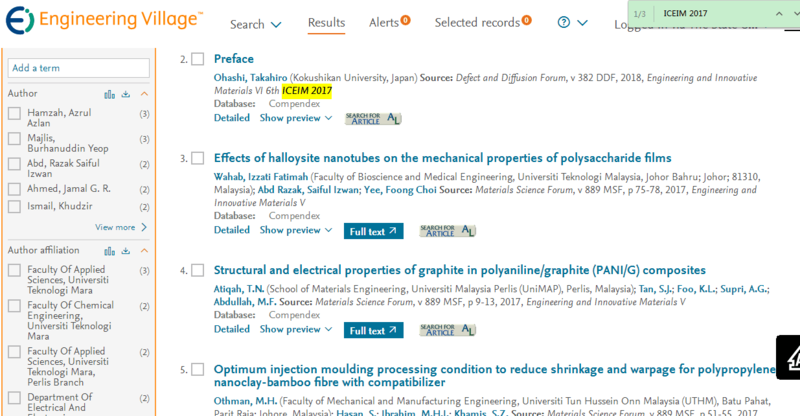 2019 8th International Conference on Engineering and Innovative Materials (ICEIM 2019) will be held in Tokyo Denki University, Tokyo, Japan during September 6-8, 2019. The conference will include plenary lectures from distinguished scientists and technologists, keynote speeches, oral presentations and poster sessions. In addition, visits to the industrial places is arranged in the post conference activities. This Conference focuses around the theme: Materials Science and Engineering, Materials Properties, Measuring Methods and Applications, Methodology of Research and Analysis and Modeling, Materials Manufacturing and Processing and 3D printing material, nanomaterial, etc. More conference topics, please click. September 11, 2018 Good News! ICEIM 2019 will be held in Tokyo Denki University, Tokyo, Japan during September 6-8, 2019.